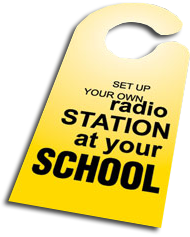 Do you want to set up your own radio station? LOW POWER FM (LPFM) - WHICH IS LIMITED IN IT'S RANGE, BUT THERE IS NO LICENSING. We can set you up with.. The Audio frequency response is about the same quality as CD music, making for a very clear crisp sounding audio. Uses digital stereo composite transmission for the signal to noise ratio, with exceptional cross talk.